Many of us are going into a season where overalls can still be worn. They're a great and effortless way of throwing together a comfy and casual outfit. 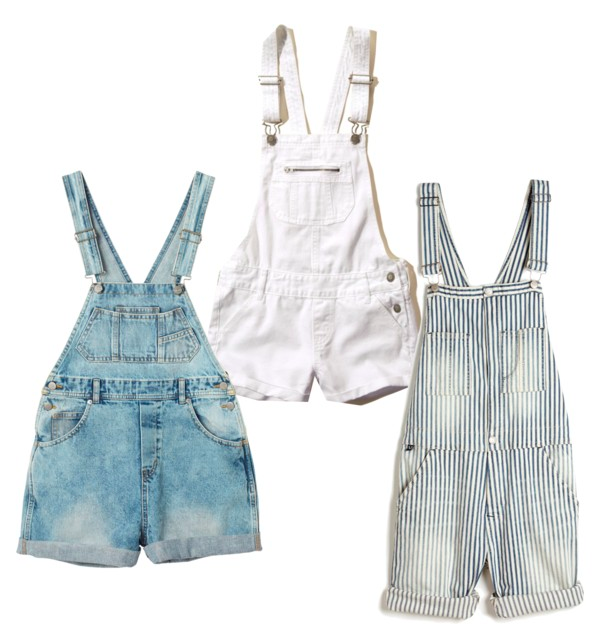 Today I'm styling three different pairs of overalls: your conventional denim, a white and a striped pair. When styling a central item with stripes - or many other patterns for that matter - it's crucial to ensure that all your other pieces are of a neutral nature. I chose a ribbed, long-sleeved black crop to wear under the overalls and a camel shaded coat for those in a cooler climate. To accessorise, I chose a black felt fedora, a pair of black boots and some silver rings for added glam. With white pieces I like to make a solid base and work with colour from thereon out. I thought it would be fun to turn a super casual piece into a glamorous LFW inspired outfit (can you tell I'm still a tad excited about London Fashion Week? Despite me actually not attending...). I created a neutral base with a white collared blouse beneath the white overalls, and some heeled black ankle boots for contrast. I then layered again with the same coat from above for the same reason. I chose a black backpack and some black circle lensed sunnies to tie in with the black boots, and a burgundy fedora for added colour and add to the autumnal vibe. My last outfit involves the traditional blue denim overalls. These are of a slightly light-wash kind. The traditional kind of overalls can be worn with a wide range of personal styles. For my own styling, I chose this striped crop and some black platform heels for some heaviness, and some white circle lenses to inject a tad more of casualness to the outfit. To layer, I decided on this leather jacket to contrast with the softer vibe of this outfit. 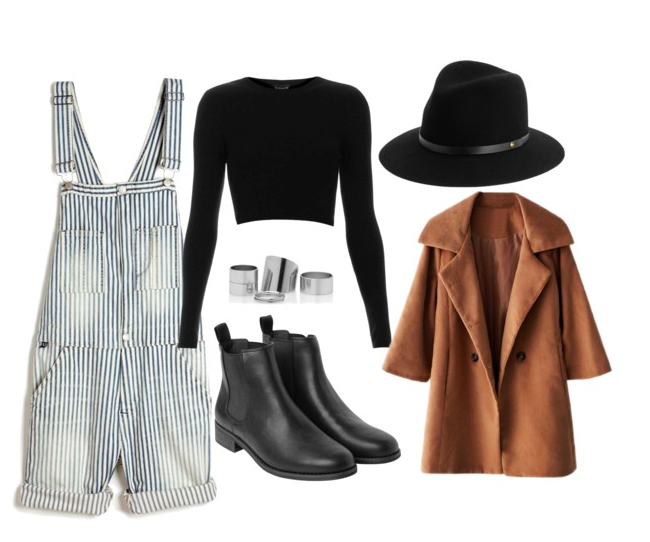 How do you style your overalls? Which of the above outfits were your favourites?